Colorado Springs, Colorado is located 69 miles south of Denver. The city sits at the foot of one of America's most famous landmarks, Pikes Peak, upon whose summit Katharine Lee Bates was inspired to write America the Beautiful. Tourists are still drawn to the picturesque setting of Pikes Peak, where they can drive, ride a cog railway or even hike to its 14,000-foot summit. Miners and ranchers settled many towns and cities in Colorado, with the exception of Colorado Springs. Known as Little London in its early days, the city was founded in 1872 by Civil War hero and railroad magnate General William J. Palmer. Palmer was attracted to the area's climate, and created a culturally appealing environment, featuring opera houses, fine hotels and restaurants. Today, the city of Colorado Springs supports a vibrant and thriving arts community, home to its own symphony and performing arts center. 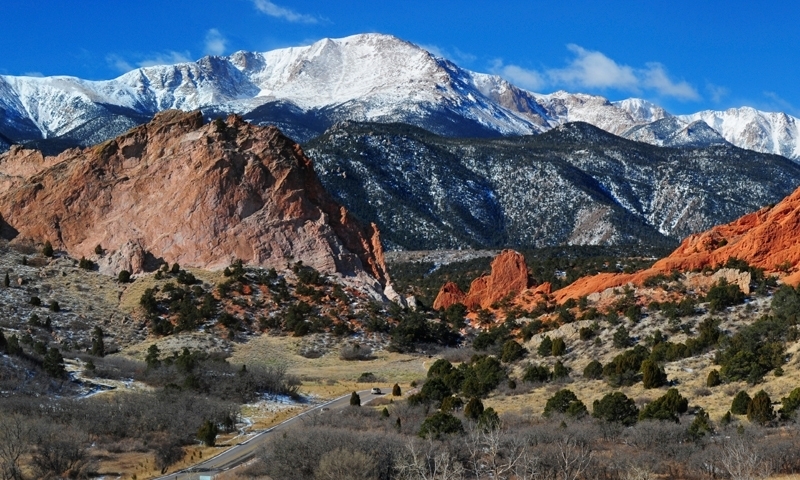 With nearly 50 area attractions, Colorado Springs provides a great destination for visitors and locals alike to explore its museums and art centers, along with the scenic wonders of the Rocky Mountains. Many visitors make their way to Colorado Springs, Colorado to experience one of the nation's three U.S. Olympic Training Centers. Here visitors can watch world-class athletes in action at the center. Also of great interest in the area is the U.S. Air Force Academy, and elite military training academy just north of the city. One can visit several areas of the academy, including the Cadet Chapel and the Honor Court. Garden of the Gods is another of Colorado Springs' great attractions. This stunning city park is one of the nation's most picturesque settings and encompasses 1,300 acres. The park is located in the foothills of Pikes Peak, an area made up of red rock formations that are amazingly brilliant in contrast to the 14,000-foot summit of the snow-capped Pikes Peak. Bordering the park is General Palmer's home, Glen Eyrie – a stone castle with elaborately landscaped ground. This historic home is now privately owned, but is still open to the public for tea and tours.